Raw manga shrimp curry is a curry based shrimp dish with shrimp and raw mango as the main ingredient. 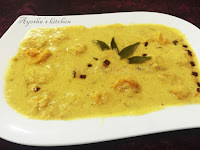 It is a very popular traditional curry in Kerala which is known as pachamanga chemmeen curry. 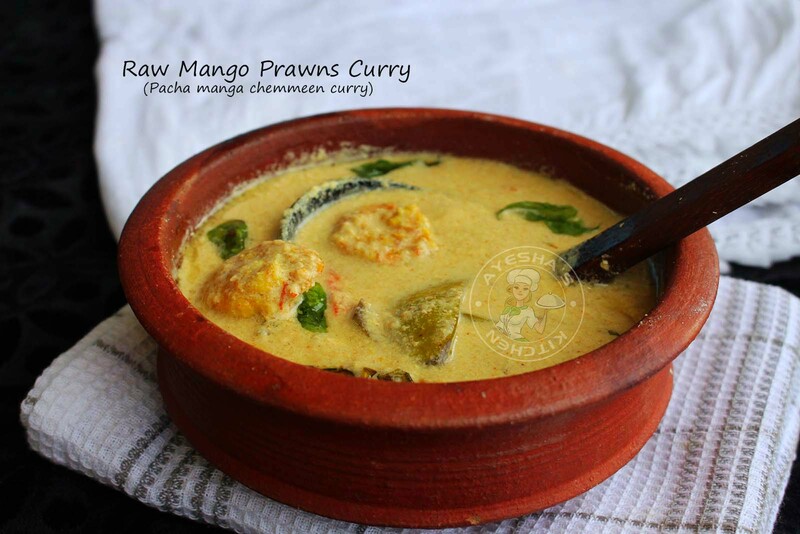 A very aromatic and inviting curry served along with rice and stir-fried vegetables. So here is the yummy recipe showing how to make pachamanga chemmeen curry/raw mango recipes/shrimp curry recipes/prawns curry/kerala curry/nadan thenga curry. Remove the skin of raw mango(optional, i added with skin) and cut into small pieces. 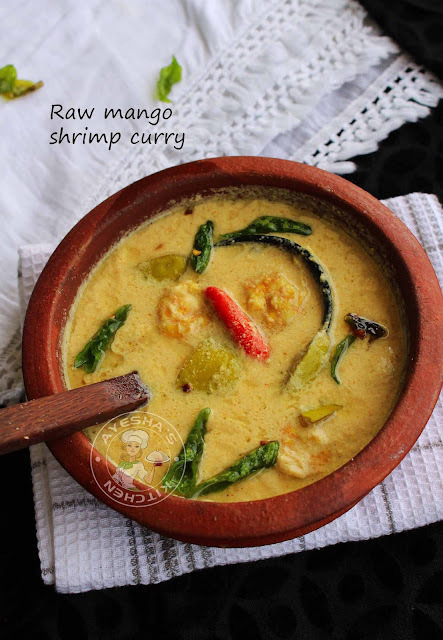 In a clay pot, put prawns, raw mango pieces, green chilies, turmeric powder, chili powder, salt, and little water. Cook it till the mango and prawns get cooked. Grind grated coconut, fennel seed, and small onion with little water to a fine paste. When the prawn is cooked, then pour this over it and cook for few minutes. Sir well. In a separate pan, heat some oil and fry sliced small onions and curry leaves.